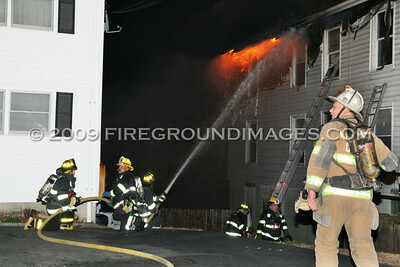 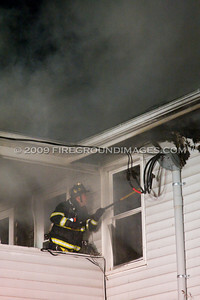 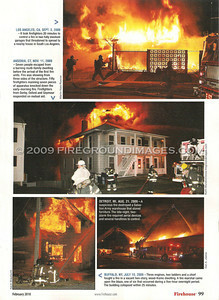 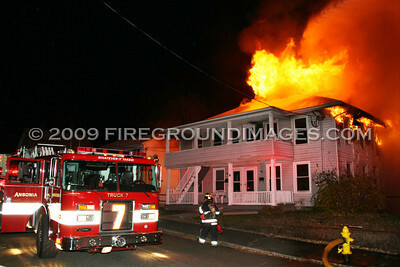 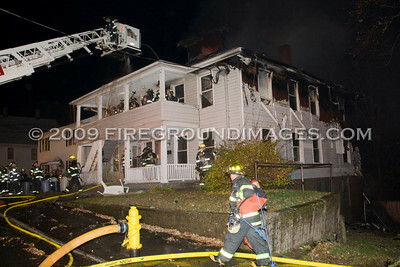 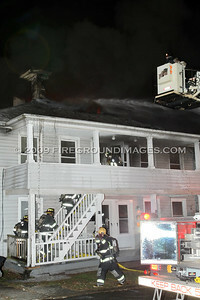 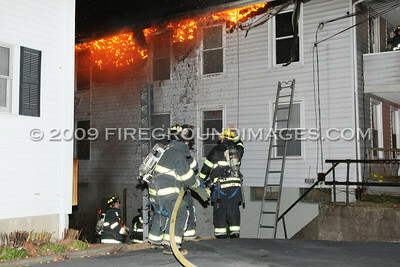 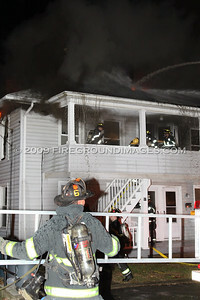 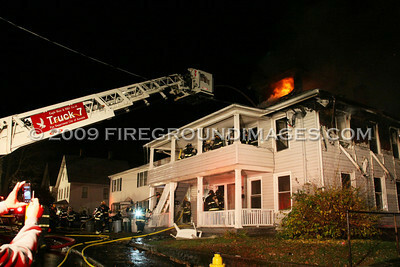 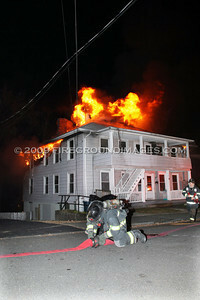 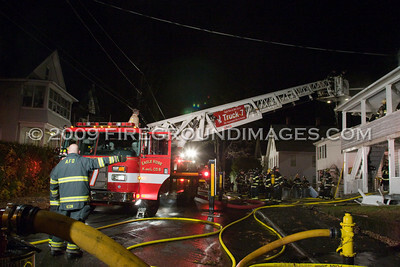 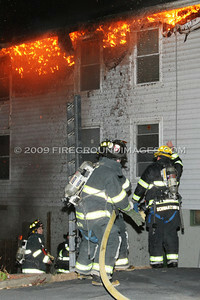 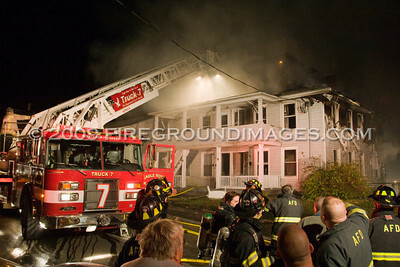 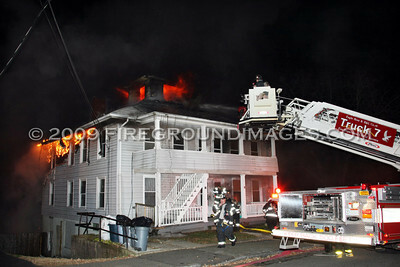 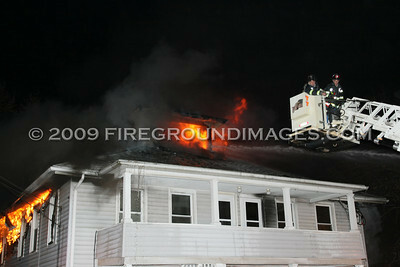 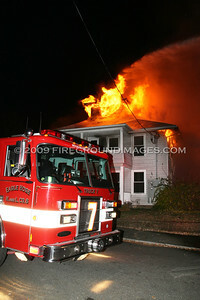 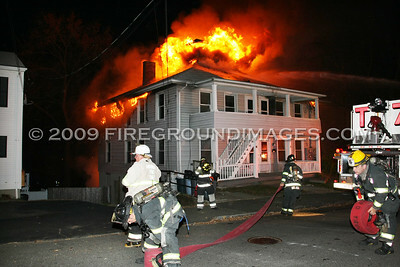 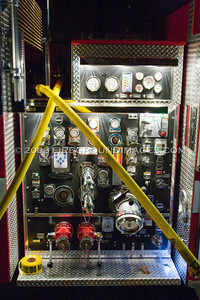 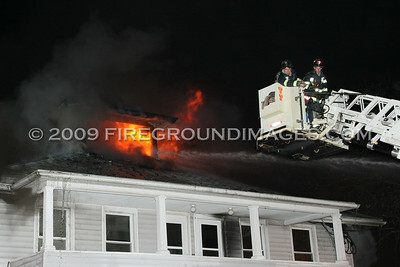 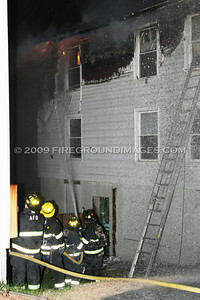 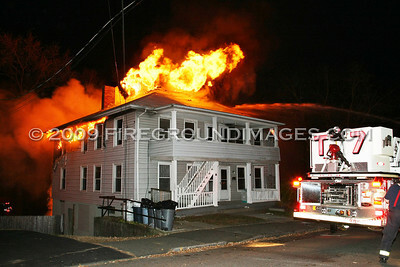 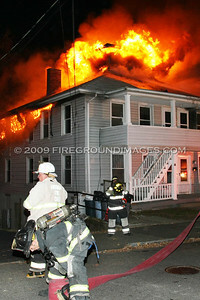 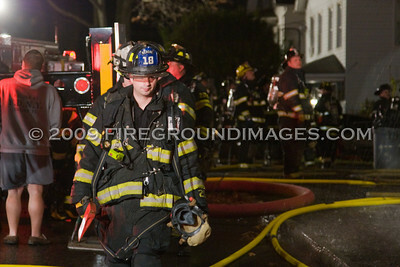 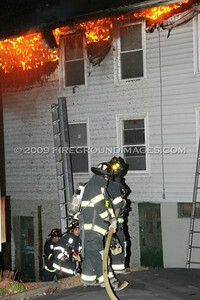 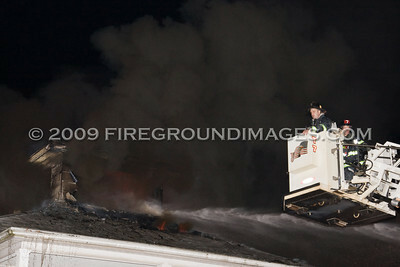 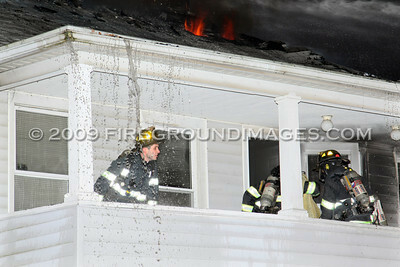 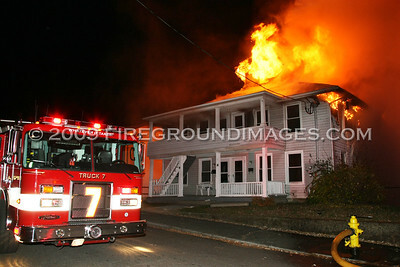 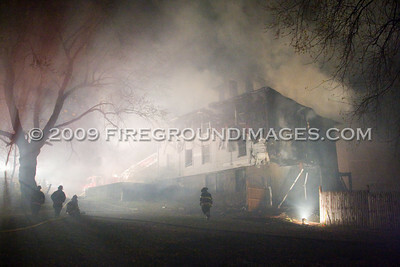 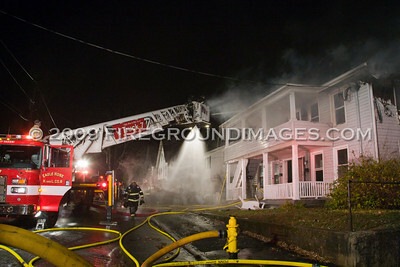 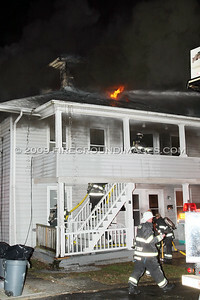 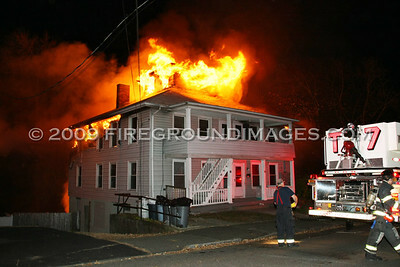 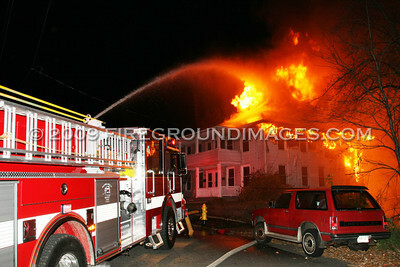 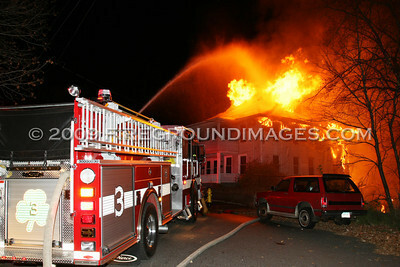 ANSONIA, CT – At approximately 12:40am on November 11, 2009 the Ansonia Fire Department was dispatched to 58 Bassett Street for a working house fire. 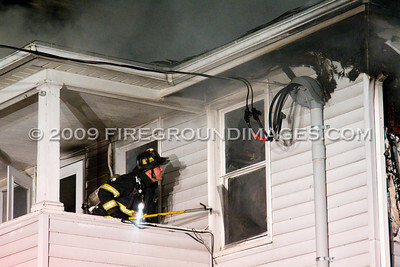 First units on scene found a large 2 ½ story wood frame with heavy fire showing from the B, C, and D sides. 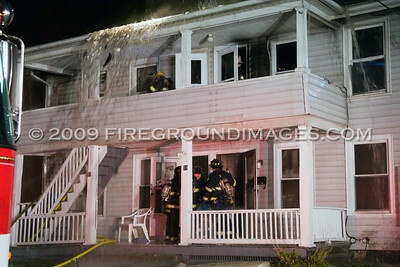 Seven people had been living in the apartment house, but had all managed to escape the blaze. 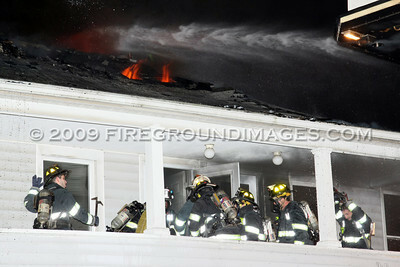 Officials were reporting that the fire started in the rear of the building. 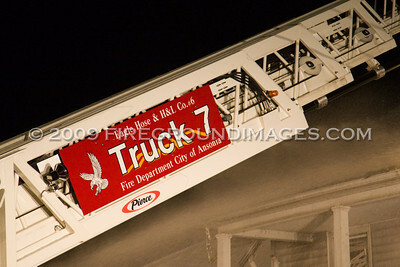 Approximately 50 firefighters and seven pieces of apparatus responded to the scene. 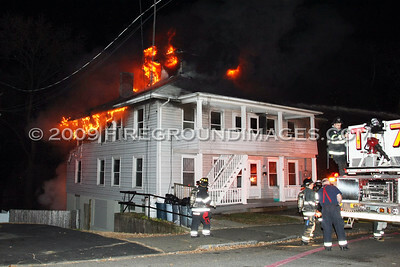 Derby, Seymour, and Oxford were called in for mutual aid.